Floor sanding and finishing at the holiday Inn Ipswich, Suffolk. We recently sanded and finished the Holiday Inn Ipswich. 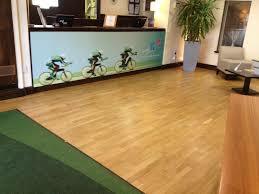 Recently sanded and finished the reception at Holiday Inn Ipswich, With Bona Traffic Commercial grade lacquer. Working through the night ready for the next day. Go in and take a look. This entry was posted in News and tagged Holiday Inn. Bookmark the permalink.